In U7, BDO Primary School games, Enid Scatliffe Maroon were able to keep the prolific Charlie Potgeiter reasonably quiet, but still fell to a 2-0 defeat to the table topping Montessori as Potgeiter recorded his 22nd goal of the season and Lochlan Geyser scored the other. The Local “derby” between Enis Maroon and Enid Red ended all square at 1-1 after Lebron Mendez saw his goal for the Maroons cancelled out by a strike from Joshua Tyson. The Maroons also suffered a 4-0 defeat to Begrado Flax after Drekailly Findlay scored a hat trick and Triston Austrie added a fourth and with the win BFEC were able to grab fourth place in the standings on 11 points. Agape White beat Enid White, 2-0, on goals from Misliek Green and Kerjahni Prevost. 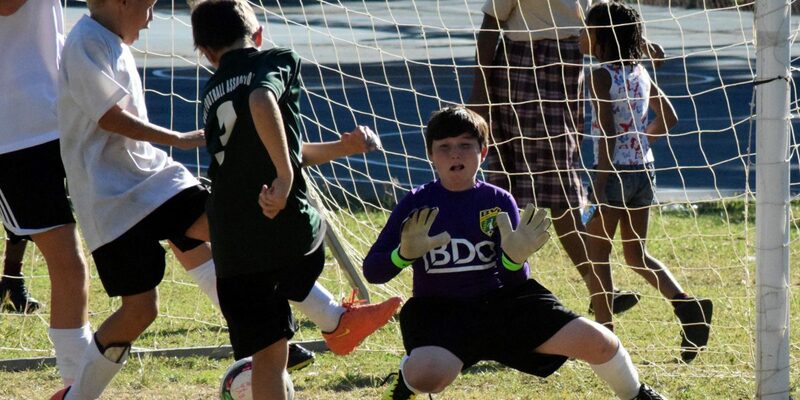 In Under 9 Group B, Sam Potgeiter netted a hat trick as did Noe Peyronnet for Montessori in the 7-0 win against top of the Group team, Robinson O’Neal. 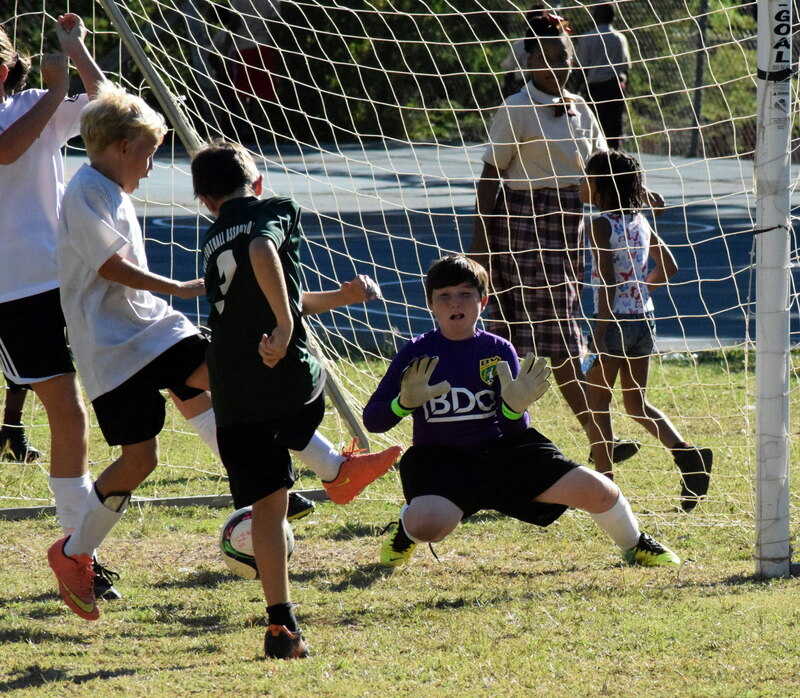 The other goal came from Charlie Potgeiter as Montessori climbed into third place on goal difference from Cedar White. Robinson O’Neal bounced back with a 2-1 win over Pelican Gate, with goals coming from Jaadon Quashie and Kyle Farrington. Althea Scatliffe Maroons are in second place. In Under 12 action, St Georges closed the gap on the top four with a 2-1 win against Seventh Day Adventist with Adrain Padilla hitting the winner after Xiiomar Gunn’s opener was cancelled out by Dequan Powell for SDA. Cedar White failed to push their hopes of a top four finish, with a 0-0 draw against Leonora Delville, a 1-0 defeat to Ciboney / Robinson O’Neal with the only goal of the game coming from Lewis Munn and a 4-2 defeat to Cedar Green. With the win Cedar Green remain top of the standings on 30 points, ASPS are second on 22 points, BFEC third on 21 and AMPS fourth on 13. Begrado Flax beat JSPS, 3-0, with goals from Joel Mars, Emmanuel Etienne and Jaden Abrams, to tuck into third place on 21 points and Pelican Gate drew 0-0 with Ciboney / Robinson O’Neal, who then beat Leonora Delville, 2-0, with goals from Munn and Rheudal O’Neal.